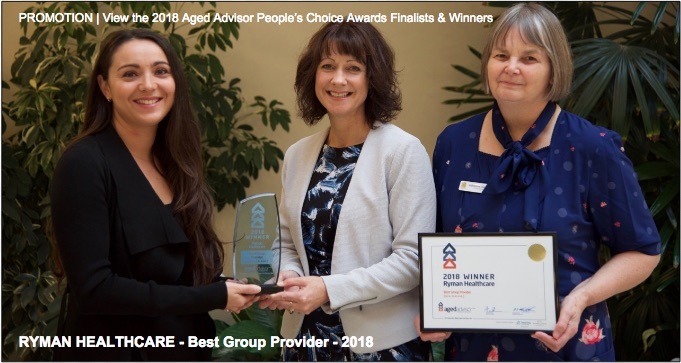 # 39 of 669 Aged Cares in New Zealand. 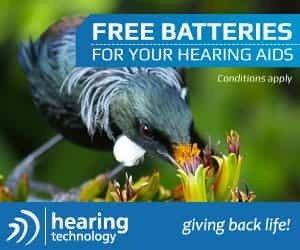 This facility is owned by Kauri Lodge Rest Home. 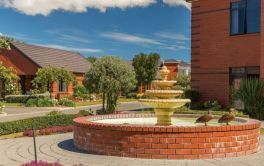 Kauri Lodge Rest Home in Riccarton, Christchurch is described as "nestled between all of the major amenities and attractions of the city, but occupies a spacious 10,000 square metres of green spaces and lovely rooms and villas." Their website continues to say that: "Kauri Lodge is independently owned and run by the Bennett family. The Managing Director, Hamish Bennett, together with our caring and friendly team, have created an exclusive and pleasant environment for all residents. Every member of our community is like family." Kauri Lodge includes 55 rest home rooms comprising 48 spacious ensuite studio rooms and 7 single ensuite rooms. Both the studio and single rooms are staffed 24 hours a day ensuring experienced care is always on hand. Life is very full for residents with our two activity co-ordinators always planning the next exciting event - including the regular Happy Hour and all kinds of interesting outings in the Kauri Lodge van. In our very spacious lounge, you can simply relax, watch TV or take part in the various social functions, activities and entertainment with specially appointed activity officers in attendance." Services also include a hairdressing salon, a library area, a computer and computer training. 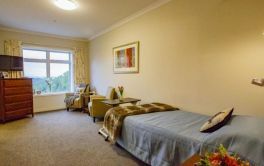 The Kauri Lodge Retirement Village has "Self-contained villas with a bedroom, bathroom and lounge/living area on the ground floor and a bedroom or storage space on a mezzanine floor. We also have eight modern, fully self-contained, single-level, two-bedroom villas. As a villa resident, you also have a choice of garage, car port or parking space depending on which villa is available. St John alarm medical units are installed in the villas and the internal bell system to the rest home ensures that 24 hour security is readily available for all residents in the village. There is also an automatic gate for those late nighters for after-hours access and night lighting for additional security." Extensive activities program second to none, which is designed both for the individual and groups. You will always be entertained and you will wonder why you didn't join our family fun sooner. × Have you visited this facility? 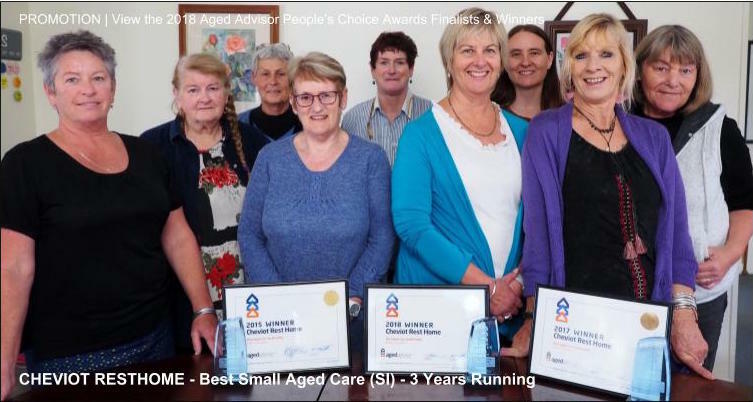 Help others who are looking for a place by posting a review on Kauri Lodge Rest Home or review a different facility now. Family owned and operated. Friendly staff. Get regular updates on mother. 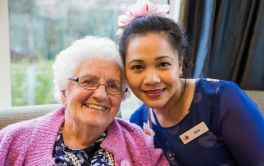 Friendly compassionate staff and management , delicious meals , great location , clean and tidy home, large room size , own ensuites , individual heat pumps , plenty of activities daily , family feel . A warm inviting friendly home . Staff an management really make you feel apart of the family . Kauri lodge is family owned and you definitely feel the compassion and great atmosphere as soon as you walk through the door . Fantastic activities on a daily . Great location across from riccarton mall and backing onto Dean's bush . Great medical care from well trained staff . Kauri Lodge is definitely a top place to consider . Mum went to Kauri Lodge for 2 weeks respite care and 3 years later is still there. She enjoys all the meal, gets medication on time and is always clean and happy. In the time she has been there she has had a heat pump installed and a ranch slider so she can wander around the beautiful garden. Friendly staff and management and we assume this is because family owned and now our Mum is part of the Kauri Lodge family. Friendly, not too big. Privately owned. Owner on hand. Good medical care. No restriction on medical supplies / personal products.